In the end, aren't we all just falling apart slowly? Show show those around you how you are feeling with this spooky 11oz ceramic mug! 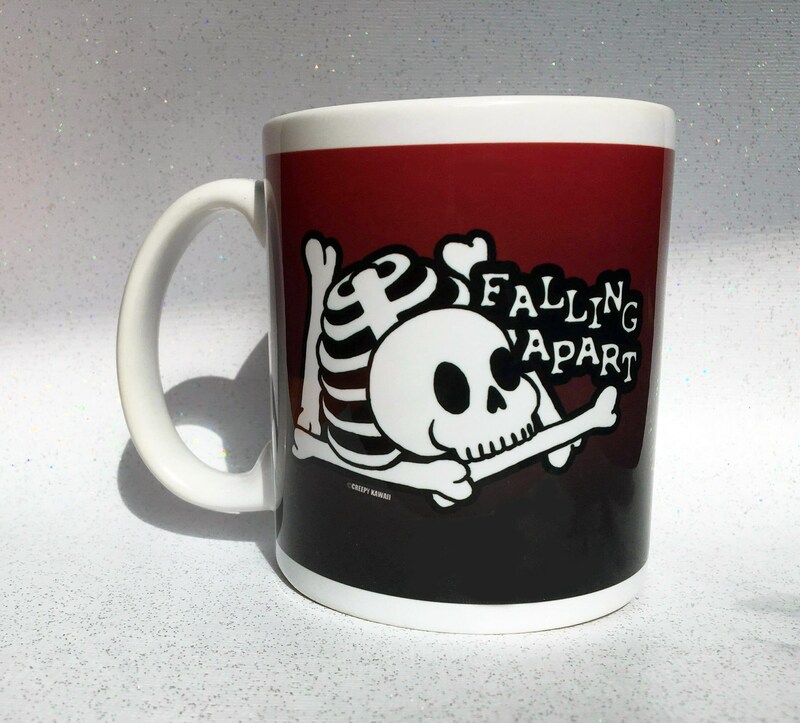 Mugs are printed double sided (the same image is on both sides). Dishwasher and Microwave Safe.